There's nothing better than supporting your favorite brewery in a great shirt. 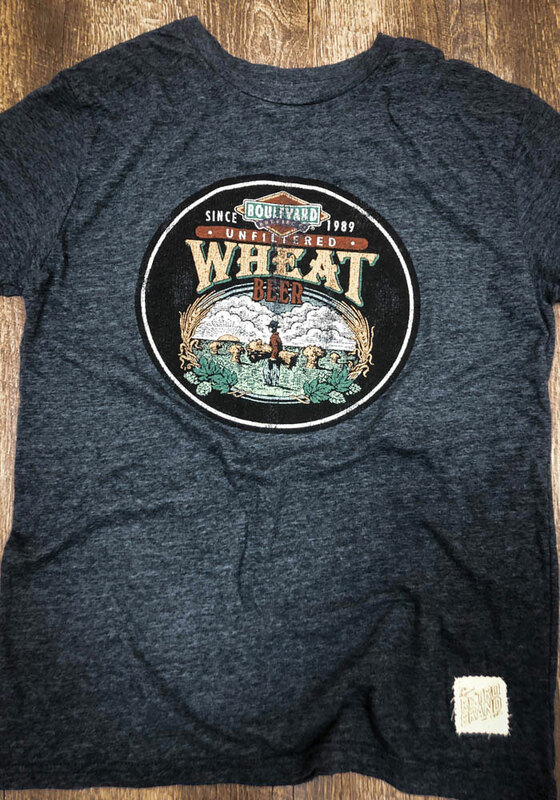 This short sleeve tee features a screen print of the old Boulevard Wheat logo on center chest. 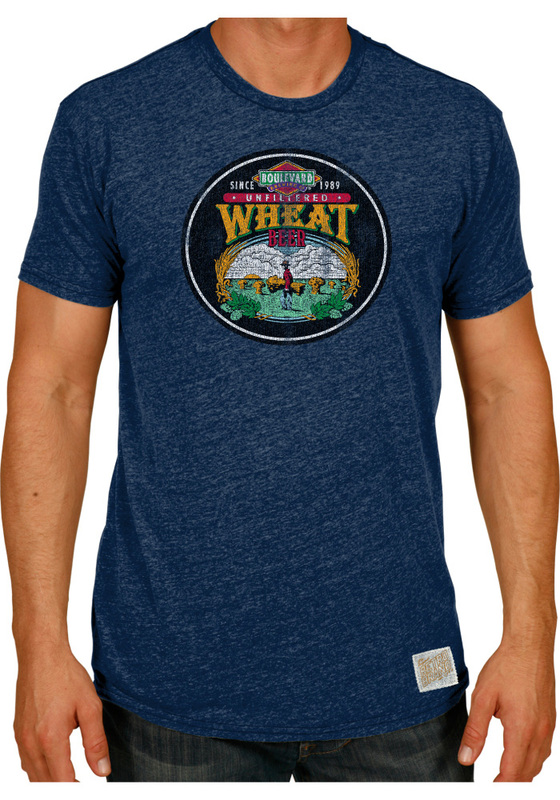 Show your love for Kansas City Boulevard brewing company while also staying comfortable. Perfect combo...I love BLVD Beer and I love Retro Brand tees. I have some KU tees from them and I was excited when I saw this one online. I love this gray tee they have...very old school and very comfortable. I received it quickly too once I ordered. great stuff! I buy a lot of Retro Brand tees. I used to feel like they were too expensive, but they never wear out so its almost the only brand I buy. Very comfortable. I wear this to work a lot on Fridays in the summer and early fall and I get a lot of compliments. I really like the bottle cap logo. Tee is nice and soft. Only downside is that the logo started to fade after a coupe of washes. Otherwise, great shirt. Nice simple look with iconic Flyers logo on front. What makes this a great shirt is the super soft material, definitely a premium tee! So soft and comfortable, great look. Love wearing this to show my KU Pride! This is without a doubt the most comfortable shirt I have. Throw in the fact that I get to rep my hometown brewery, and it's quickly becoming one of my favorite shirts. This is my favorite TT tee. I've seen other tees like this in this gray color, but I always go back to the Retro tee. I like that patch they have on it too down at the bottom there. I get a lot of compliments when I wear this tee. I love this t-shirt. I like how this has some "attitude" to it and I like how they also used the Jayhawk on the sleeve. I love the extra prints that Retro Brand use a lot. Very cool. RCJ! I bought this online for my friends back east who were coming to visit. The received it quickly, and then when they got here, we went to a local Rally store for other STL souvenirs. We were blown away with the selection. The staff at the store was friendly and very helpful. Great Cardinals and Mizzou stuff too. This is the best K-State t-shirt I've ever seen. I'm biased because I think Bill Snyder is the best college football coach in history...adding his quote to the back of the shirt is genius. EMAW! Great t-shirt! I ordered it and it arrived very quickly. I don't buy a lot online but I was at work and needed a sports tee for an event. Quick delivery. Its tough to find the old W, so I was excited that you have it. I ordered and received the tee very quickly. Very soft, too. Simple and easy online shopping experience!